We are always looking for fast and easy meals, cooking up a batch of these on the weekend makes the week ahead a lot easier! Hubby can heat one up in the morning with a coffee then head off to work. I can heat one up quickly when the kids are running around. They are filling and even better they are delicious! You can have one for breakfast, or just a snack between meals when you need something to tide you over. Add your butter to a heated frying pan, once the butter has melted add the crushed garlic, onion, ham and spinach. Crack your eggs into a large mixing bowl. Add your tomatoes, parsley, baking powder, cheese and salt and pepper. Once your mixture has cooled down slightly add this to the egg mixture and stir thoroughly. 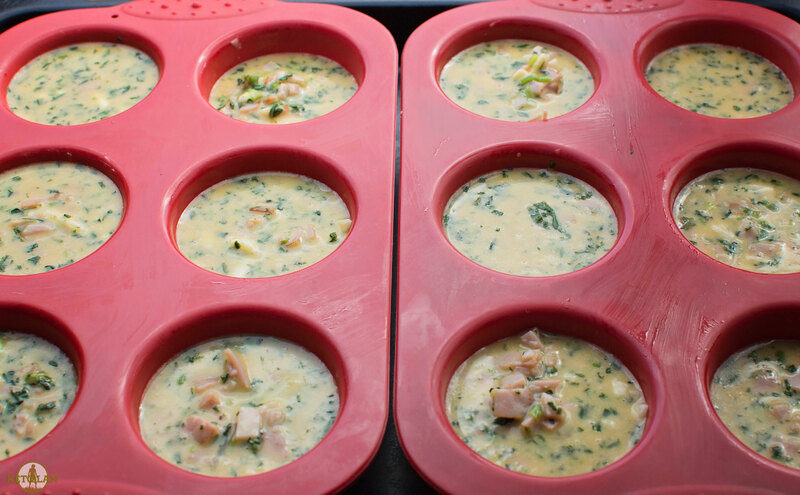 Grease 12 muffin tins and pour mixture evenly into these. Yum! 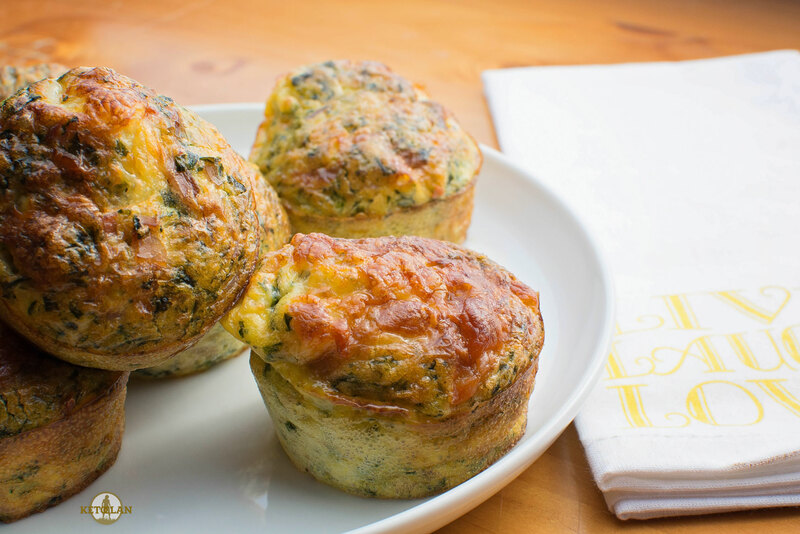 Such a quick easy idea for prepping breakfasts!